Miss Anna Pie: 100th Post! My dashboard thingy on this blogosphere says that this is my 100th blog post. That's pretty exciting! I don't really have anything meaty or witty or crafty to post today, but I do have a question. What does it say about my life if this is the background picture on my phone? 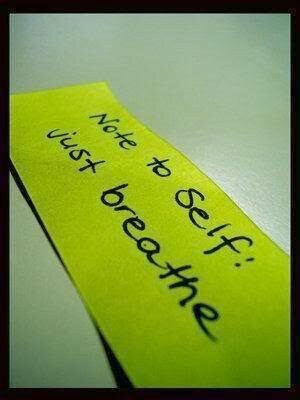 What does it say about your life, routines and schedule if you need a constant reminder to...just breathe?